LA Unified is exploring building two new schools in the western San Fernando Valley on the sites of two campuses that have been vacant for decades at a potential cost of tens of millions. The move comes as the district has no current plans for any new schools and would need to spend an estimated $40 billion to repair and modernize its existing campuses with only $7.8 billion in available construction bond authority. The idea of building schools on the sites is a complete reversal of plans that had been in place for a year and a half and after district officials had repeatedly said for years there is no money or need for new schools in the area. El Camino Real Charter School High School, which has been named by the district as the preferred developer of the sites, has plans to raise its own money to develop them into K-8 schools along with using bond funds set aside specifically for charter school development. LA Unified would then lease the land to El Camino long term, for up to 40 years. The district has been under increased pressure from Valley leaders and residents to do something with the sites, which have been shuttered for decades, leading neighbors to say they have become eyesores that attract vagrants. Previous statements by district officials have estimated it would cost $20 million per site to build a new school. LA Unified Chief Facilities Executive Mark Hovatter said the buildings are no longer suitable even to be repaired. At the November board meeting, Superintendent Ramon Cortines announced plans to develop one site — Oso — into a magnet school for autistic students that would be connected with nearby Taft High School, and board member Scott Schmerelson said the district is working on a plan for a second site — Highlander — although he provided no details on what kind of school it would be. Based on the sudden announcements, the board denied El Camino’s charter application for the Oso site and postponed the vote on Highlander. Although El Camino officials had been told of the Oso plan in advance of the meeting, El Camino’s director of marketing, Melanie Horton, said the Highlander announcement came as a complete surprise. “We put a lot of time and effort into writing the charter and conducting community outreach over the last year, more than a year now, so it’s frustrating to hear that there might be other potential plans for the sties,” Horton said. Horton said development of a third site, Platt Ranch, would be revisited by El Camino if its Highlander application is denied since Platt was to be a K-12 STEM center without any permanent students on site. “Obviously if our charter for Highlander is also denied then we wouldn’t have a K-12 operation so we wouldn’t have a need for a K-12 science center. So we would have to revisit that following board action on Highlander,” Horton said. 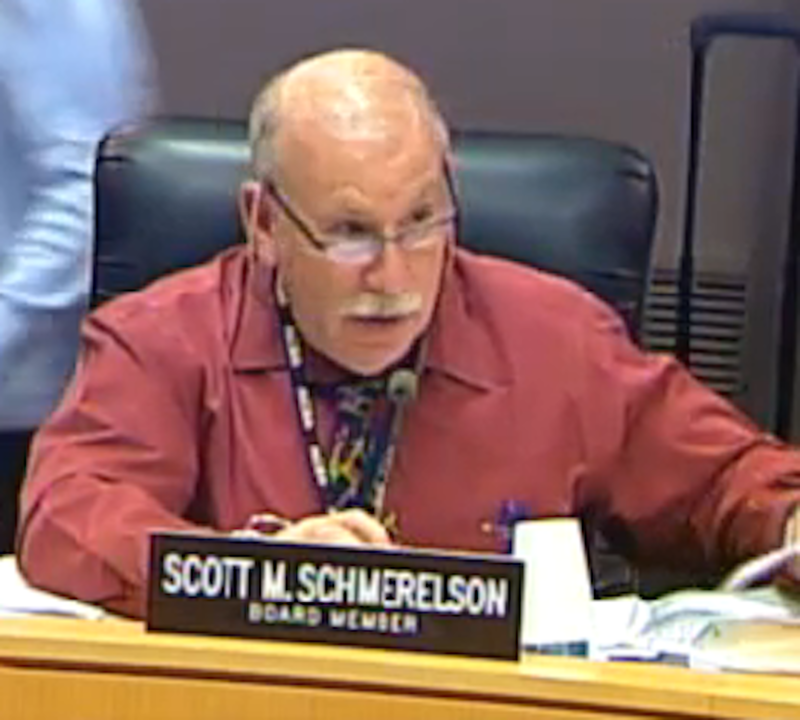 Schmerelson did not respond to an email asking what the district would do about Platt Ranch if El Camino abandoned its development plans there. Board member Mónica García, who voted in favor of El Camino’s application for Oso, expressed some skepticism about the need for new Valley schools during the debates about Oso and Highlander at the November meeting. García also joked about not being interested in sending more resources to the Valley, a reference to the fact that she represents some neighborhoods in East LA that are economically challenged while the West Valley is one of the more affluent areas of the district. Her comments are a preview of the opposition the district and board could face if it moves forward to develop the sites. Now in the final stages of a $25.3 billion bond program that financed 130 new schools since 2003, LA Unified has no active plans to construct any new schools. The final and 131st school as part of that bond project is currently being built, Hovatter said. The district also has limited resources to pay for any new schools. Of the $7.8 billion in available construction bond authority, Hovatter said the district has already commited $2 billion to $2.5 billion of it. Hovatter would not speculate on the cost of developing Oso and Highlander. * Updated to include clarification that Horton said El Camino would revisit the Platt plan, not necessarily abandon the idea of developing the site.